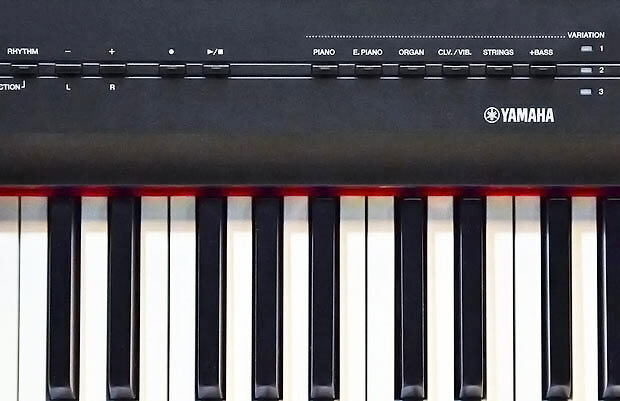 Not much time has passed since the release of the Yamaha P-115, one of Yamaha’s most popular portable digital pianos. 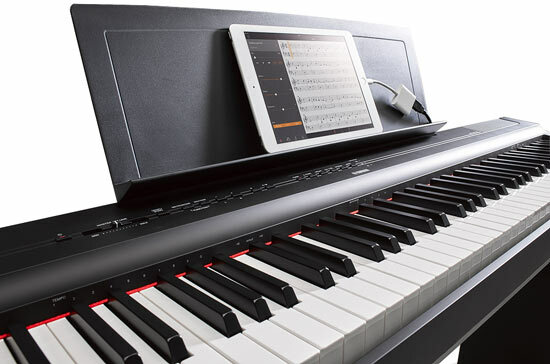 Yet, the Japanese manufacturer has decided it’s time for a new upgrade, and on the first of April 2018 Yamaha introduced the new P-125 digital piano, which replaced the P-115 and became the new midrange keyboard in the P (Portable) series. I was very excited to learn about new features and improvements Yamaha has prepared for us since you don’t just release an old model and call it a new one, right? Well, turned out this is rather debatable. While the P-125 does come with some new features and upgrades, I certainly expected more changes, especially in the piano department. With that said, there’re some pretty cool features found on the P-125 that weren’t present on its predecessor. For the most part, though, the P-125 has inherited its elements from the P-115, which is not necessarily a bad thing since the P-115 has proved to be an excellent piano on its own but we’ll see. 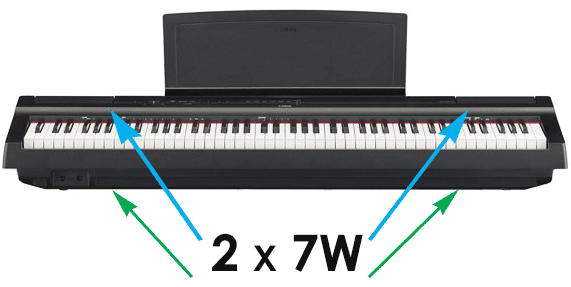 The case of the P-125 has been slightly redesigned and modernized, but otherwise, it’s still a very compact and relatively lightweight digital piano that’s suitable for home use as well as for gig situations. 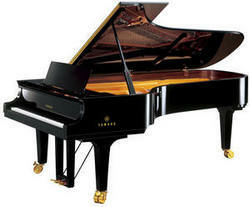 The piano is made of plastic and has a great build quality expected from a brand such as Yamaha. The P-125’s minimalist design is completed with a red felt ribbon across the tops of the keys as well as an elegant curve on the front panel inspired by the Yamaha CFX Concert Grand. 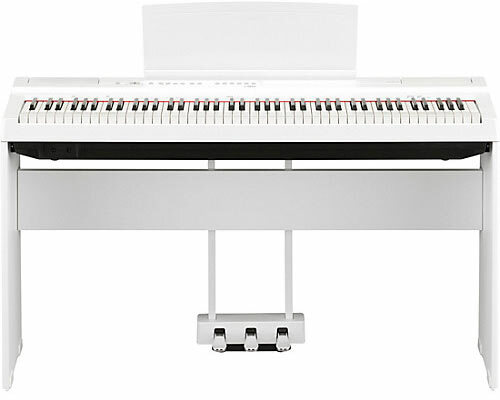 The piano doesn’t come with a furniture style stand or a triple pedal unit, which are available optionally and great for those who decide to use the P-125 at home (see ‘Accessories’ section). The color options available are black and white. The keyboard itself is fairly portable and can be easily moved around by pretty much anyone over 14. 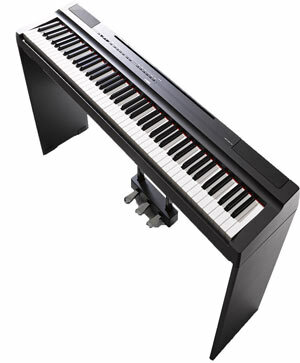 The P-125 weighs about 26 pounds and is 52 inches wide, 11.6 inches deep, and around 6.5 inches tall, which is comparable to other portable pianos in this price range (Kawai ES110, Roland FP-30, Casio PX-160). With such a size, you can even put the P-125 on a table. There’s actually a special setting called Table EQ that optimizes the sound when the keyboard is placed on a flat surface. Now let’s talk a little bit about the controls. There’re a total of 14 buttons located on the front panel of the instrument. Some of them have little LED indicators built into them so you know which function is being used at the moment. There are 6 dedicated buttons for each of the sound sections (Piano, E.Piano, Organ, Strings, etc.) as well as buttons for a metronome, rhythms, and recording features. Plus, there is a volume slider that allows you to gradually change the volume. As you can see, there’re plenty of buttons, but there are even more functions and features on the P-125, so you’ll still have to use “Button + Key” combinations to access most of them. The good news is that digital technologies are evolving very quickly nowadays, and one of the P-125’s new features is its compatibility with Yamaha’s Smart Pianist app, which makes it insanely easy to control all the instrument’s functions using an intuitive graphic interface (see ‘Connectivity’ section). While other manufacturers are actively designing and introducing new keyboard actions, Yamaha seems to be reluctant to upgrade its popular Graded Hammer Standard (GHS) action, which has been around for quite a while. Today pretty much every digital piano from Yamaha under $1000 uses this key action. The P-125 is not an exception. Although Yamaha claims that the keyboard of this piano has been tweaked to provide a more natural feel, it’s still the good old GHS mechanism that I’m well familiar with. I was able to play both keyboards side by side, and to be honest, I didn’t notice much difference in touch between the P-115 and the P-125. So let’s assume they are very close, if not identical in this aspect. Although in my opinion there are more realistic keyboard actions available in this price range (Roland’s PHA-4 Standard, Kawai’s RHC), the GHS still provides a good value for money and has its fans too. First of all, it’s an 88-key fully-weighted keyboard that uses graded hammer system to recreate the feel of a traditional piano. Graded implies that the keys feel heavier in the lower registers and lighter on the higher end, just like an acoustic piano. The keyboard is touch-sensitive, which means that the volume/timbre of the sound will change depending on how hard or soft you play the keys. Thanks to its powerful 4-speaker sound system, the P-125 actually provides a very good dynamic range from the softest pianissimo to the loudest fortissimo. The default “Medium” touch sensitivity is optimal for most people and feels the closest to the real thing. Nevertheless, you can choose a lighter or a heavier touch to better suit your playing style. There’re 4 touch sensitivity settings to choose from: Hard, Medium, Soft, Fixed. When the “Fixed” setting is selected, you’ll get the same amount of volume regardless of the force (velocity) of your key presses. It’s getting more and more popular for intermediate digital pianos to have Ivory/Ebony simulated material on the keys to enhance grip and make a playing experience more enjoyable and authentic. Unfortunately, the P-125 has traditional shiny plastic keys and doesn’t offer any textured material on them. The black keys though have a matte coating, which makes it easier to play in high-humid situations and helps prevent mistakes (your fingers are less likely to slip off a matte surface). 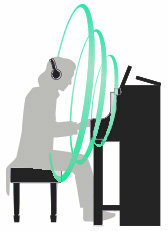 Now let’s talk about the second most important aspect of any digital piano – sound. There are several changes that Yamaha has made in this department since the previous model. It’s got the same high-quality Pure CF sound engine, which uses samples of the world’s acclaimed Yamaha CFIIIS 9′ Concert Grand. Each note was recorded multiple times at different velocity levels to recreate the richness and dynamic range of the traditional instrument. 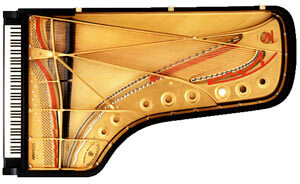 The main Concert Grand Piano tone on the P-125 uses 4-layer sampling as opposed to 3 layers found on the P-115. The 4th layer has been added to make the sound more dynamic and allows for a smoother transition between the samples. It also includes organic piano elements that enrich the sound and make it more natural. Some of these elements are damper resonance, string resonance, and key-off simulation. While there’re some improvements to the piano sound of the P-125, honestly, I didn’t notice a big difference comparing it to the P-115. And I think the difference is more connected with the redesigned speaker system rather than the improved samples. Anyway, the P-125 sounds amazing, just like its predecessor. 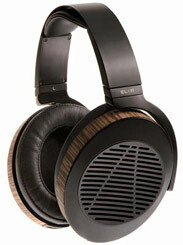 There are a good depth and richness to the sound, which I really enjoyed listening through my Sennheiser HD 598. The P-125 seemed to have a bit more pronounced middle register and overall a bit brighter sound compared to the P-115. The new Stereophonic Optimizer feature has probably also contributed to the realism of the playing experience. The Stereophonic Optimizer feature is commonly found in higher-end digital pianos and what it does is adjusts the spaciousness of the sound when you’re playing with headphones on, which makes the experience more immersive and authentic. One of the P-125’s main upgrades is 10 new instrument sounds that have been added to the 14 tones that were present on the P-115. Now there’re 24 built-in tones that make up six sound sections with 4 tone variations in each of them. Sound effects selection is very limited on the P-125, though an average piano player wouldn’t need much anyway. Reverb is the most popular sound effect and the only one available on the instrument. You can choose out of 4 types of reverb (Recital Hall, Concert Hall, Chamber, Club) as well as adjust its depth within the 0-20 range. The amount of polyphony on the P-125 has remained the same (192 notes), which is more than an average digital piano in this price range has (128 notes). Either way, even 128-note polyphony is more than enough 99% of the time even if you plan to layer multiple sounds and use backing tracks for your performances. And 192-note polyphony makes it even harder to run out of notes, so it’s definitely not something to worry about on the P-125. Another noticeable upgrade in the P-125 is its new redesigned speaker system. It’s got 4 speakers (2 on each side), which is not something we often see on a digital piano in this price range. There are two 12 cm full range speakers as well as two 4 cm tweeters that ensure crystal clear high frequencies. Together, the speakers deliver 14W of power, which gives you enough volume to fill a medium size room without using any additional amplification. The location of the speakers makes the sound to come out in both downward and upward directions, which creates an immersive sound field that envelops the player. The P-125 also offers a bunch of new features designed to enhance the sound quality and adapt it to the environment you’re playing in. Table EQ setting can be used to optimize the sound coming out of the internal speakers when you place the piano on a desk or a table. Such location doesn’t allow the sound to freely flow from the down-facing speakers, so Table EQ adjusts the frequency distribution to get the best possible sound quality. Sound Boost feature is designed to make the sound slightly sharper/louder. So if you’re playing in a band, this feature will help you cut through the mix, though I can’t say it makes a huge difference. The P-125 sounds great with or without Sound Boost turned on. Intelligence Acoustic Control (IAC) is Yamaha’s proprietary technology we’ve already seen on the P-115. IAC automatically adjusts the frequency response to achieve a better balance and make both high and low register notes clearly audible even at low volume levels. The P-125 has pretty much the same features the P-115 does. The only difference is that Yamaha has added 6 new rhythm patterns and got rid of the Pianist Style function. 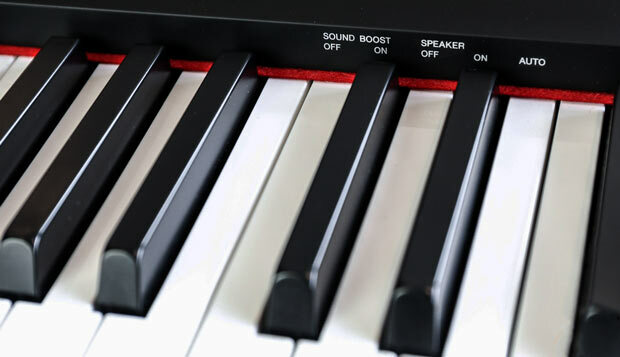 Along with the regular “Whole” keyboard mode, there are 3 additional modes that are commonly found in modern digital pianos. The P-125 has all of them. Dual Mode can be used to layer two different instrument sounds to create a rich atmospheric sound for your performance so that whenever you press a key, you’ll hear two sounds playing together. With the P-125, you can’t just layer any sounds. The tones from the same sound section cannot be combined. For example, you can’t layer a piano with another piano, or an organ with another organ. 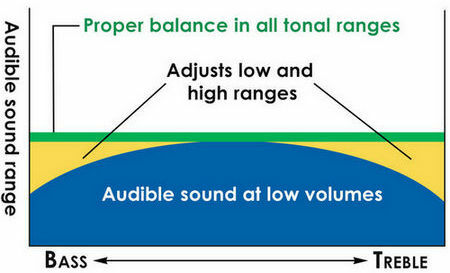 The volume balance between the sounds can be adjusted. Split Mode works similar to the Dual Mode, but instead of layering two tones, it splits them between two keyboard zones so you can play one sound with your right hand and another one with your left hand. The P-125 allows you to choose any Bass tone for your left-hand section and any other sound for the right-hand section. By default, the split point is set to F#2 but you can change it as well as the volume balance between the sounds. Finally, we’ve got the Duo Mode, which is often referred to as Partner Mode or Twin Piano. What it does is splits the keyboard into two identical parts that have the same octave ranges and its own middle C, as if two little 44-key pianos were put together. It’s a great feature to use in a class environment with a teacher or a tutor as it allows two people to sit shoulder by shoulder and play the same notes at the same time. Just like the P-115, the P-125 has a music library with 50 preset piano pieces from famous composers such as Bach, Debussy, Beethoven, etc. Most of the songs were taken from the P-115, but there’re also a bunch of new ones to enjoy. Not only can you listen to the built-in songs, but you can also use them for your practice. For each song, you can turn off the right or left-hand part and play it live, while the other part is playing back. If you’re going to create your own stuff or just want to listen/evaluate your performance, the P-125 allows you to record your playing in MIDI format, which you can then transfer to your computer. For each song, you can independently record two tracks, which you can then play together as a single song or mute one of the parts. 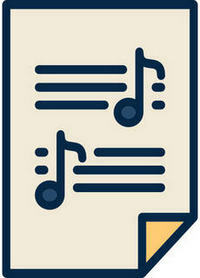 For example, you could record each hand part to a different track, or put several instrument parts on top of each other. 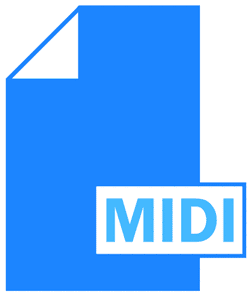 One (User) song can be stored in the instrument, plus you can load up to two MIDI songs from your computer. But guys, come on, it’s 2018 already, and to me the idea of having memory only for 3 songs seems a bit ridiculous. Flash memory is getting cheaper each year, and the size of MIDI files is usually only 50-150 KB, which is nothing by today’s standards. Anyway we have what we have, and while it’s not a huge problem if you use Yamaha’s Smart Pianist app (see ‘Connectivity’ section) and play back MIDI/Audio files directly from your iOS device, it would be nice to have enough memory for a least a few dozens of songs, so you don’t have to load them back and forth all the time. 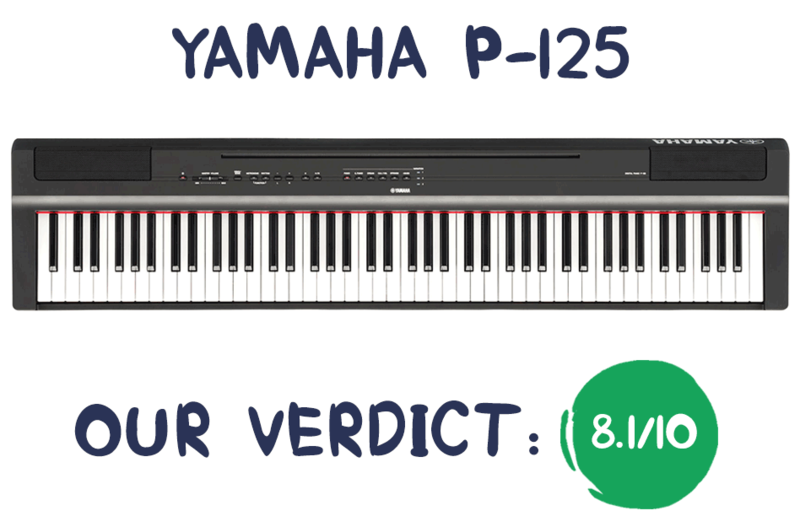 The Yamaha P-125 has 20 built-in rhythm accompaniments that cover a good range of musical styles. Each rhythm includes a drum and a bass part that follow your playing in real time. Compared to traditional Accompaniment function (Pianist Styles on the P-115), you don’t need to specify chords with your left hand and play the melody with your right hand. 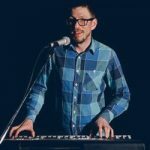 You can just play across the whole keyboard range, and the rhythmic accompaniment will back up your performance and make you sound like a full band. Pianist Styles feature is not available on the P-125. The P-125 comes with an onboard metronome, which is a useful tool that will help you work on your rhythm and time-keeping skills. The beat, tempo, and volume of the metronome can be adjusted. Transpose is a popular function that allows you to shift the pitch of the keyboard in semitone steps. 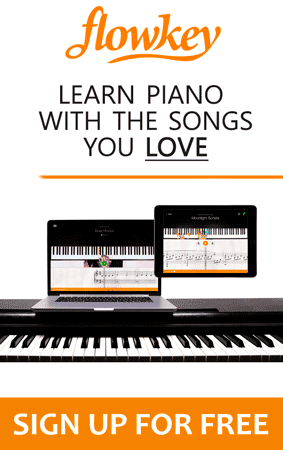 You can use it to play a song in a different pitch without changing your hands’ position, or if you want to transpose a song into an easier key (e.g. fewer black keys). Tuning function can be used when you need to match the pitch of another instrument or a CD recording and allows you to change the pitch in 0.2 Hz steps. The Yamaha P-125 has all the same ports the P-115 had, which means you get two Headphone jacks, USB to Host port, Aux Out jacks and Sustain jack. All the ports are located on the back panel of the piano, except for the headphone jacks, which are on front (left side) for more convenience. Both of them are 1/4 inch stereo jacks that will allow you to plug two pairs of headphones at the same time. Aux Out (aka Line Out) are two 1/4″ jacks (R, L/Mono) that can be used to connect the keyboard to audio equipment such as an external amplifier, PA system, audio interface, mixer, etc. It’s definitely a plus that the P-125 has dedicated Line Out jacks as it’s exactly what musicians would need and use during their gigging sessions. 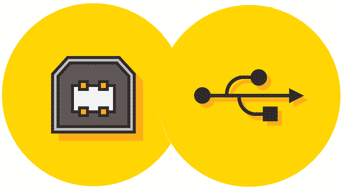 The USB to Host (type B) port will allow you to connect your instrument to a computer to exchange files and MIDI data. You can also use this port to connect your smart devices to the P-125 to expand its range of features and functions using 3rd party apps. 1) Exchange files (recorded songs) with your computer. 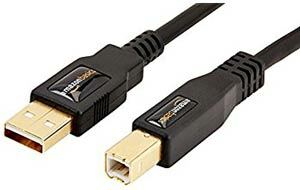 An A to B USB cable, needed for this type of connection, doesn’t come with the piano. 2) Control music making (e.g. GarageBand) and teaching apps (e.g. FlowKey) by transferring MIDI data with your computer. 3) Hook up the P-125 to a mobile device (iPad, iPhone, Android) and use it with various MIDI-compatible apps available in App Store/Google Play. In order to connect the P-125 to an iOS device, you’ll also need the Lightning to USB Camera adapter that’s sold separately. 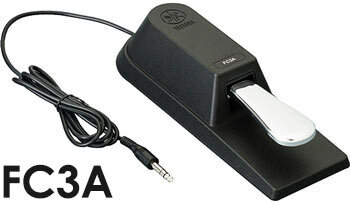 Alternatively, you can purchase the Yamaha UD-BT01 adapter for a wireless connection via Bluetooth. What’s interesting is the the USB port on the P-125 can transfer not only MIDI data but also Audio data (USB Audio Interface), which is quite surprising to see on an instrument in this price range. What it means is that the P-125 can send and receive a digital audio signal via the USB port without the need of an external Audio Interface (no unnecessary digital-analog, analog-digital conversion as in the case of Line Outs). Another important upgrade in the P-125 is that it’s now compatible with Yamaha’s Smart Pianist app. 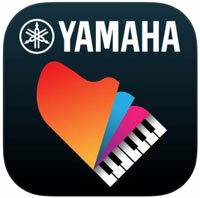 It seems that Yamaha is a dedicated Apple fan, so for now, the app will only work with iOS devices. First off, the app provides an intuitive user-friendly interface that you can use to select, layer and split sounds, and access pretty much all of the P-125’s functions, which makes the whole user experience much more enjoyable. For example, instead searching the manual on how to select a certain song from the built-in library, you can just go to the app, pick a song you need from the list, select the parts that should play (R, L or Both), adjust volume, tempo and even see the scores of each song. Another useful feature that we don’t often see in other apps, is the ability to choose any song from your phone (e.g., iTunes library) and see the scores/chords for this song so that you can play along with it. I should also mention that with this app you’ll be able to record your performances not only in MIDI but also in Audio (ACC or WAV), which means you can get a CD-quality recording in a matter of seconds (no need for external equipment or software) and share it on social networks, SoundCloud, etc. Registration Memory is something that will definitely be appreciated by performing musicians, especially those who need to quickly switch between different tones and settings. Using Registration Memory feature you can save your settings under different names and call them up immediately once you need them. As I said, the P-125 doesn’t come with a stand that you may occasionally see on the pictures. But there’re many options available for purchase either separately from the piano or in a bundle. There’re two ways you can go when it comes to buying a stand. 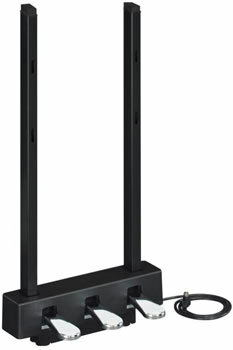 First, is to buy an X or Z-type stand that are usually fairly affordable, portable and adjustable. 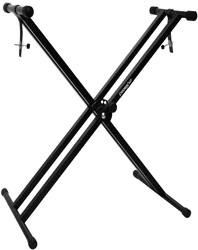 This would be a perfect choice for on the go musicians or those who want to be able to easily collapse a stand and put it away when not in use. The second option is to buy a furniture style stand, which would provide a more elegant look for your home interior and more stability compared to portable stands. For the P-125, Yamaha has designed a wooden furniture stand (L-125) that is also compatible with the Yamaha LP-1 triple pedal unit. Just like the majority of digital pianos in this price range, the P-125 comes with a basic box-style footswitch (FC5) that looks and feels nothing like a real piano pedal. While it does have its pros such as small size and weight, if your main focus is piano playing, you’d probably want something more realistic. 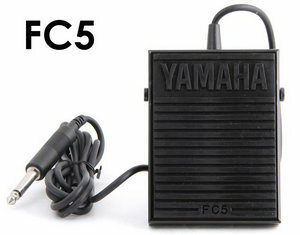 Yamaha actually offers the optional Yamaha FC3A piano-style pedal that feels and looks very similar to an acoustic piano pedal. What’s even more important, this pedal supports half-pedal operation, which will allow you to play more advanced pieces and develop your pedaling technique. 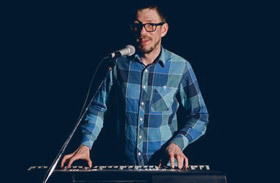 An acoustic piano has 3 pedals, and sustain pedal is the one that’s used most often. If you’re an experienced player though and feel that you would need all three pedals, take a look at the Yamaha LP-1 triple pedal lyre that’s also compatible with the L125 stand I mentioned earlier. The pedal unit will also add additional functionality to some of the tones. In particular, using the soft (left) pedal, you’ll be able to control the rotary effect of the Jazz Organ, and vibrato of the Vibraphone. While the first bundle may be a good option to consider since it includes Yamaha accessories, I would think twice before going for the second one. The thing is that such bundles rarely include high-quality items. Moreover, you can’t even see the brand name and the model of these items. So, in many cases, you’ll be able to get higher quality accessories if you buy them separately from the piano after checking the reviews and comparing the prices. Initially, I was almost disappointed that the Yamaha P-125 wasn’t bringing much new to the table compared to its predecessor. 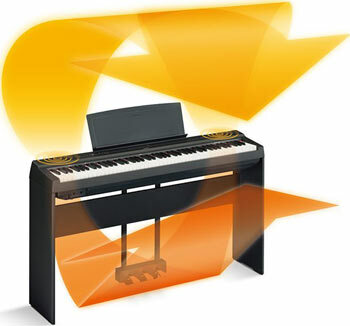 But let’s face it, the P-115 is a really good digital piano on its own, and while there’s always room for improvement, Yamaha decided to make those changes gradually. So, you won’t find something revolutionary in the P-125 although it does offer a few cool features we haven’t seen before. Here are some of the main changes that come with the P-125. The changes are mainly connected with extra features and sounds and not the piano sound/feel itself. It would be nice to see some evolution of the GHS action considering it’s been around for a while and in my opinion, there are more realistic key actions available on the market at this price point (Kawai RHC, Roland PHA-4 Standard). So it’s only a matter of time before Yamaha introduces its upgraded action with an improved mechanism, ivory & ebony simulated keytops, and whatnot. I would also want to finally see onboard Bluetooth connectivity since it would make it much easier to connect to smart devices without having to use any cables or adapters, especially considering that its two main competitors (Roland FP-30, Kawai ES110) already have that. Things that I like the most about the new P-125 is its really great speaker system, natural piano tones, nice rhythm section, and the new Smart Pianist app that looks/works great and provides a lot of cool features not available on piano itself. With all of that said, the Yamaha P-125 remains one of the best portable digital pianos you can get under $1000. Whether you’re a beginner or an experienced musician, the P-125 packs high-quality piano performance and versatile practice features into a very compact instrument that’s easy to take wherever you may need to go. I’ve already thoroughly compared them to the P-115 model, which you can read right here. Pretty much everything that I wrote there is true for the new P-125 except for a few added sounds and features that I’ve already mentioned in this review. Is it possible to switch rotary speaker speeds on the JAZZ ORGAN sound of the P-125 without having to use the LP-1 Pedal unit? Hi Peter, I’m afraid not, it’s the only way. Excellent does not do credit for this review. Its far more. Thanks Lucas for the detailed review, it really helped. Hi John, you’re welcome! I’m glad it was of help to you. Hi Fernando, yes, you can absolutely use Synthesia, FlowKey and other apps by connecting the P-125 to your tablet, smartphone, or computer. I’m soon releasing an article, which explains exactly how to do so. For this particular piano, you’ll need a USB A to B cable and an Apple Lightning to USB Camera Adapter or an OTG adapter if you’re using an Android device. I connect my iPad 4, IOS 10.3.3 to the piano by USB A to B cable and Apple lighting adapter. The iPad control center then shows there is connection to “Digital Piano”. Apple TV is switched off. Loading the app version 2.2.0 338 MB from App Store takes som time before ready to open. When opening the app, a few seconds of black screen with text “Yamaha” appears before the app is closing and dumped to an icon on the home screen. Increasing available memory to 4GB does not help. Neither repeat install and open. Unless there is a bug in the app version from dec 2018, what could cause the trouble? Restrictions on my ipad? I even tried to connect a couple of iPhones without success. Hi Arne, Hmm… iTunes shows that the size of the app is 558 MB, so maybe it just hasn’t fully downloaded to your iPad. But it’s hard to tell for sure as there’re a lot of things that can cause this situation. Unfortunately, right now I don’t have a Yamaha keyboard around to test it from my end. So I’d encourage you to contact Yamaha directly and ask for assistance. I’m sure it’s an easily fixable problem, and they will happily help you with that. You can contact them via Email, Live Chat or Phone. This is the most comprehensive and useful review of a keyboard I’ve ever seen. Thanks so much for taking the time to create and share this. Thanks for the kind words, Tom, appreciate it. Hi, Thanks for the detailed review. How can I cover up the P125 when not in use? I have it in my home with stand and 3 pedel, I do not need to move it, its for home use. I am missing a slide cover though, any suggestions/alternatives about how to deal with this problem? Hey Dex, yeah, it can be a problem since most portable keyboards don’t come with a sliding keyboard cover. For your P-125 you can just get a keyboard dust cover such as this one or this. There are actually quite a few options out there, just search “piano keyboard dust cover” and you’ll find them. I hope this helps.